Flexible solution covers a wide frequency range without requiring an external crystal. As consumer demand for compact Internet of Things (IoT) and portable electronics devices accelerates, product designers need to find solutions that reduce application size while extending battery life. Timing devices are central to the operation of these products, but clock sources traditionally require multiple components to meet the frequency requirements of consumer devices, thus consuming board space and power. 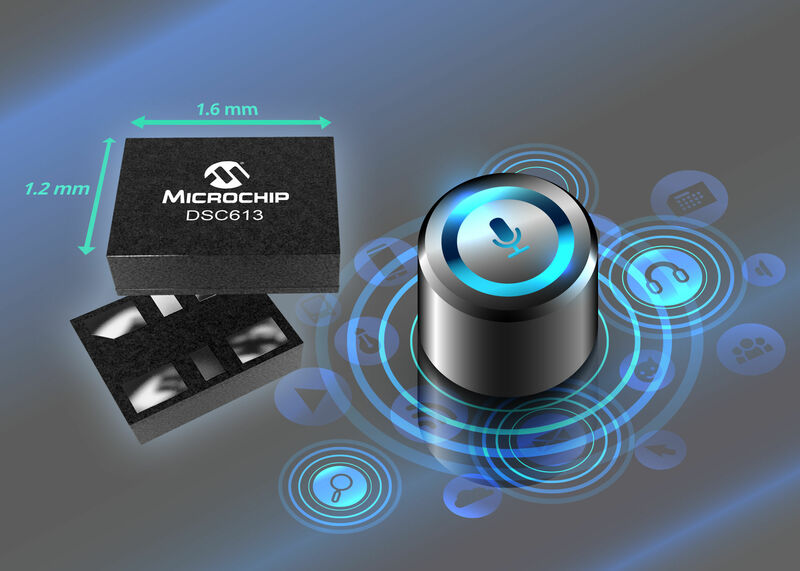 To resolve these design challenges, Microchip Technology Inc. (NASDAQ: MCHP) today announced the industry’s smallest MEMS clock generator. This new device can replace up to three crystals and oscillators on a board, reducing timing component board space by up to 80 percent. The DSC613 clock family eliminates the need for an external crystal by integrating a low-power and high-stability Micro-Electro-Mechanical Systems (MEMS) resonator. 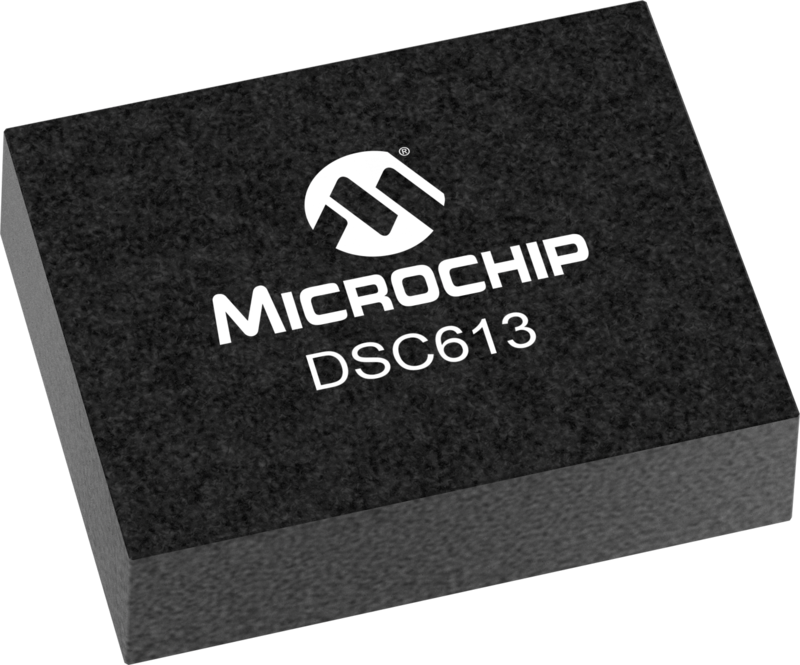 The DSC613 family supports up to three clock outputs from 2 kilohertz (kHz) to 100 megahertz (MHz), making it ideal for microcontroller-based embedded systems. In an IoT application, for example, the clock generator can be used to provide a MHz main reference clock and 32.768 kHz Real-Time Clock (RTC) for the microcontroller (MCU), as well as another MHz clock for functions such as connectivity and sensors. The DSC613 family includes two low-power fractional PLLs with AnyRate® clock synthesizers, which enable the device to generate any frequency between 2 kHz and 100 MHz. At approximately five milliamps (mA) power consumption with three outputs running, the family provides up to 45 percent power savings when compared to a solution that uses three low-power quartz oscillators. For additional power savings, the clock output can be turned off through the output enable pin. The DSC613 family is supported by Microchip’s ClockWorks® online configurator tool. Customers can enter a clock configuration and receive a customized part number and datasheet, as well as order free samples all in one place at clockworks.microchip.com/timing. The DSC613 family is available now for sampling and in volume production. For pricing and additional information, contact a Microchip sales representative, authorized worldwide distributor or visit Microchip’s website. To purchase products mentioned here visit our purchasing portal or contact a Microchip authorized distributor.